Tuition fees shouldn’t be a barrier to the most highly talented students. To this end, the ESCP Europe Foundation supports the School in its social diversity. Promoting social integration, equal opportunities and geographic diversity are major challenges for the future of ESCP Europe. The Foundation supports the school in this area, by supporting the ESCP Europe scholarship programme by up to €1 million per year. You are an ESCP Europe student and want to apply to a scholarship? 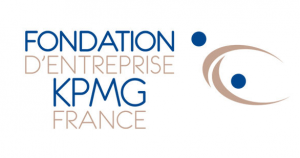 The ESCP Europe Foundation support the scholarships programe of the School, for different programmes: Master in Management-Grande Ecole, Specialised Masters, Bachelor and Doctoral Programme. For further information about the procedures and the amounts of the scholarships, click on the programme concerned on the ESCP Europe website. The scholarships are reserved for the ESCP Europe students. Scholarship applications must be sent directly to the School: scholarships@escpeurope.eu. The ESCP Europe scholarship is a real chance as it offers me the possibility to pursue my studies at a high level and without selling out of my student experience. To provide a rapid help to students in difficulty and to avoid school drop-out are the objectives of the emergency assistance fund. It is an important expression of the ESCP Europe community’s solidarity. In 2018, 4 students have received a scholarship to face exceptional difficulties (health, financial or familial problems). I have been blessed to pursue my studies at ESCP Europe through the ESCP Europe Foundation. There were times when I was not sure if I was gonna make it, working late night shifts part-time jobs, making it in class rested enough while being prepared for class exchanges, and be financially accountable. The Foundation's scholarship definitely came in as a gift in the midst of an unexpected miracle I must say. So in the words of my own I say, Mauru'uru roa (Thank you very much). Launched in 2016, Talent Spring is an admission process to the Master in Management. It is reserved to high level student having been confronted with serious personal issues (health, living situation, etc). After a selective entry on student report and a 3 days Assessment Centre, 8 students are admitted at ESCP Europe each year. Learn more about Talent Spring.